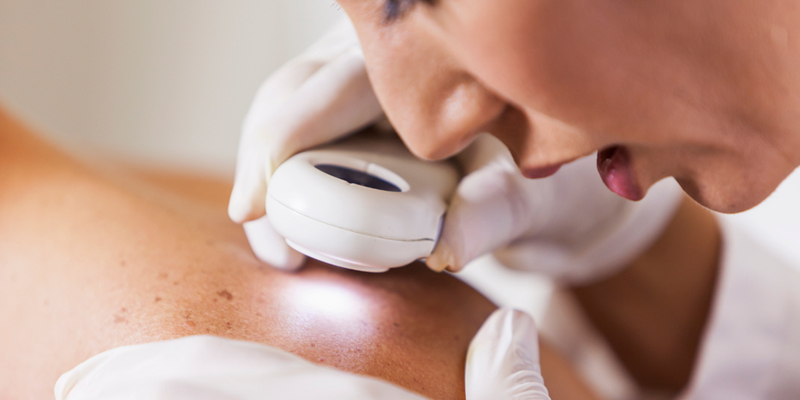 Dermoscopy is a visualization of cutaneous lesions with certain lights using a handheld device. The light could be polarized at different wavelengths. The visualization is done with magnification. It requires an experienced dermoscopist to distinguish nuances of skin changes. This modality is useful in determining whether atypical pigmented lesions are suspicious enough for biopsy. Dermoscopy can also help map out the periphery of melanocytic lesion prior to excision. This can predict for the patient and the surgeon what kind of margins are needed to clear the pigmented lesion.